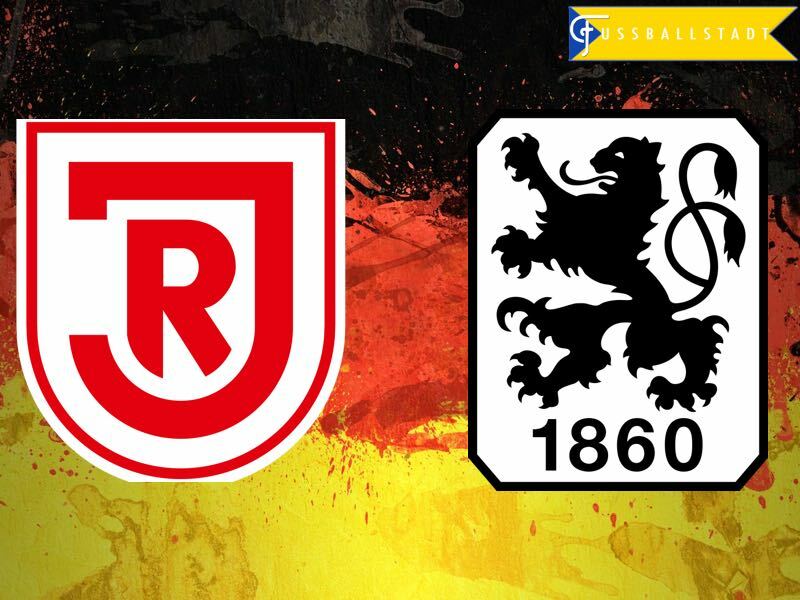 Jahn Regensburg vs 1860 München – Friday 17:00BST/18:00 CEST – Continental Arena – Regensburg. Here we are again. For the second time in three years, 1860 München will have to play in the relegation playoffs. Failing to secure safety on the last day of the regular season means that Munich’s true love will now face 180 minutes of hell that could determine the future of the club. But we didn’t have to go down that route. In fact, 1860 were set to celebrate on matchday 34 of the Bundesliga 2. Arminia Bielefeld were struggling against Dynamo Dresden, and Erzgebirge Aue were losing to Düsseldorf. 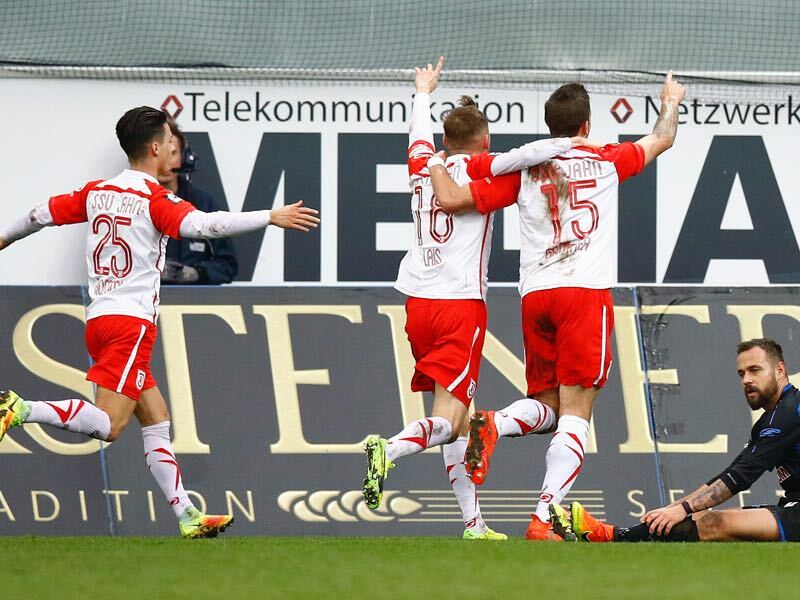 Die Löwen, on the other hand, were winning their match against Heidenheim until a free kick by Marc Schnatterer found the back of Stefan Ortega’s net in the 86th minute. Almost simultaneously Armenia equalized in Dresden, which meant that 1860 needed to win their match to avoid relegation. As a result, 1860 threw everything at Heidenheim’s goal, who then capitalized from a counter attack to make it 2-1 sending 1860 to the relegation play-offs against regional rivals Jahn Regensburg. With Regensburg 1860 are now drawn against a team that just last season played in the fourth division Regionalliga Bayern. Coached by Heiko Herrlich, however, Jahn have been a surprise team in Liga 3, and they could now make the step to achieve two successive promotions. On paper, Jahn are the underdogs, but unlike 1860 they have momentum on their side. Only two Bundesliga teams have been able to avoid relegation in the playoffs since the introduction of relegation playoffs between the Bundesliga 2 and Liga 3 in 2009. One of those clubs was 1860 München, who defeated Holstein Kiel at the very last moment in the second leg at the Allianz Arena. 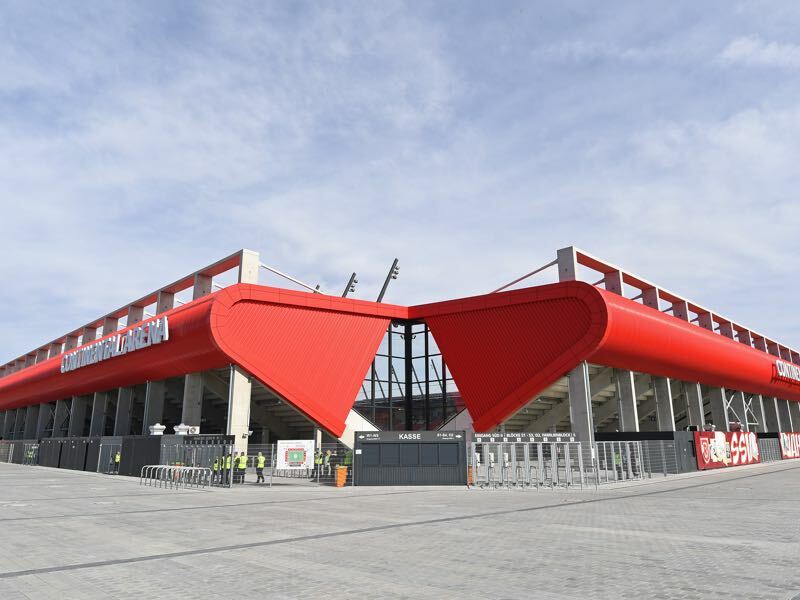 The relegation playoff experience could now become 1860’s biggest advantage when they face Regensburg in the first leg at the Continental Arena. One thing is for certain defeat, and subsequent relegation could make 1860 project to return to the Bundesliga tough in the foreseeable future. Marco Grüttner is Jahn Regensburg top striker. The forward with the number 15 has scored 13 goals in 36 Liga 3 games for Jahn Regensburg this season. Adapt to play the ball with both legs the 31-year-old his a typical lower league journeyman, who has played among others for Stuttgarter Kickers, VfB Stuttgart II, SSV Ulm 1846, and VfR Aalen. Stefan Aigner is the heart and soul of 1860 München. Born and raised in the region Aigner was a diehard 1860 supporter before he became a professional player. It was, however, at Arminia Bielefeld that Aigner became a full-fledged professional player, and 1860 brought the Munich-born player home in 2009. But after three years at the club, and countless scandals involving 1860’s finances, Aigner moved on to Eintracht Frankfurt. Then investor Hasan Ismaik opened his coffers this summer, and among others signed Aigner for €3 million from Eintracht Frankfurt. The hope was that Aigner would become the new leader of the club, but the 1860 fan struggled with the responsibility and even had to take a short break earlier in the spring. 1860, however, will need Aigner at his best if they want to hope to survive the relegation battle. This Jahn Regensburg’s second time in the relegation play-offs. In 2012 they defeated Karlsruher SC to be promoted.